I went to the eye doctor this week. My appointment was way overdue because my eyes have gotten worse by 20%. Needless to say the doctor wasn't very impressed. I did learn something pretty fascinating though. 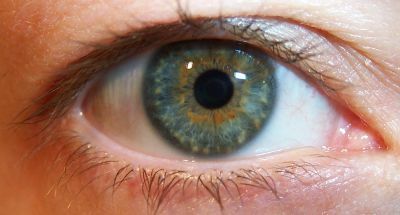 Darker eyes take longer to dilate than lighter eyes. In fact, he had to give me two drops of the dilating potion instead of the usual one drop that most eyes require. However, lighter eyes don't hold the dilation very long. Darker eyes stay dilated for awhile. Do you think this is because lighter eyes tend to be more sensitive? I got my eyes dilated yesterday. The doc forgot to give me those flimsy sunglasses. Boy, did it hurt! And I very well could've gotten in a wreck on the way home! My doc didn't give me the glasses either. I ended up sitting in the parking lot of Target for awhile so that my eyes could un-dilate.